Good advice should be appreciated; however, the source of this advice often times is eaten alive, well, maybe not alive because it is only a cookie. 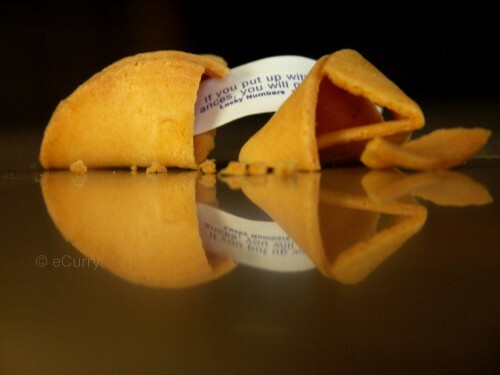 I’m talking about fortune cookies here folks, those delicious treasures I always find myself taking handfuls of after I leave my favorite little Chinese place here in Carmel. After devouring this tasty little treat recently I found the most interesting “fortune” that is now taped to my desk as a daily reminder. This goes back to the ideology of perspective and being in control of how you interact with the environment around you. I wrote about this similarly in August but the general premise is that it is up to you how you perceive the world around you. More specifically this “fortune” is about people and how we chose to perceive them. Yes, certainly, we have all dealt with “difficult” people and sometimes people are just down right problematic. Each day I have to answer this hotline at work that is kind of a help line for a product we support and use as a data analyzing tool. There are plenty of dumb questions and mean people if I so chose to see them that way. I’ve decided to buy into this ancient wisdom buried beneath a stale cookie though. Everyone is fun, everyone means well, everyone wants to do well and succeed, I just have to find that part of them. Someone who calls me yelling about not being able to schedule something sooner than the tool allows is not impatient, they are probably really good at customer service and want things done promptly. Every human being, unless mentally ill, has the capacity to feel joy and love, thus have fun, and it is our responsibility as individuals to trust that truth and spend time looking beneath the person we see or experience. Deciding to discover their fun side can have huge impacts and cause us to see the world and people as good and thus experience life in a much more palatable way.